For all you culture vultures, here is an all-in-one guide to the representative cultural art centers in Seoul! If you have spare time in your schedule or just need a break from touring around the city, consider visiting a performance hall or an art museum. Diverse performances and arts will not only present you with memories, but will nourish your soul! 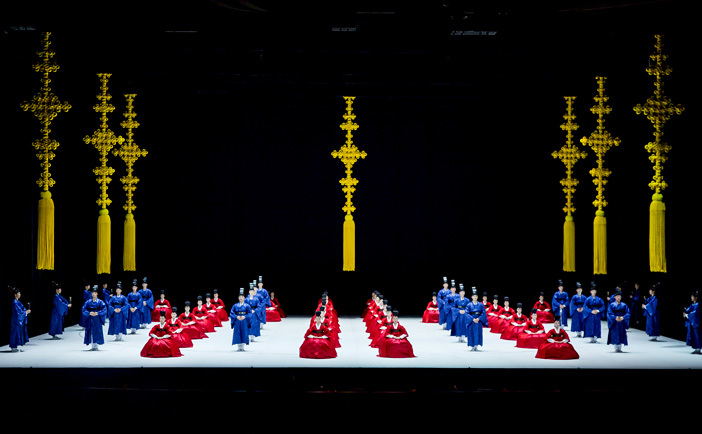 From gugak to opera, enjoy diverse performing arts! Established in 1950 as Asia’s first national theater, National Theater of Korea presents diverse performances spanning Korea’s traditional arts, ballet and opera performances. World renowned performance groups and organizations from overseas often hold performances here as well. The theater is composed of Haeoreum Theater, the main hall (temporarily closed for remodeling); Daloreum Theater, a smaller theater; Byeoloreum Theater, designed for original performances; and Haneul Theater, an outdoor stage. National Theater of Korea is especially popular among tourists due to its location near Namsan Seoul Tower and Myeong-dong. The theater is just a 20-minute bus ride from either of these popular attractions. 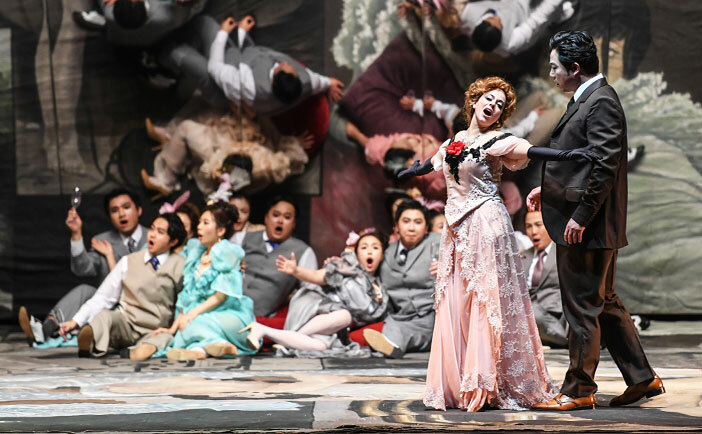 Seoul Arts Center offers world-class theater facilities for outstanding performances. The center holds cultural art events in a multitude of genres throughout the year. The signature building of the center is the Opera House, with its unique architectural design like that of a traditional Korean hat. The Opera House stages all kinds of performances, holding on to the true essence of performance arts. 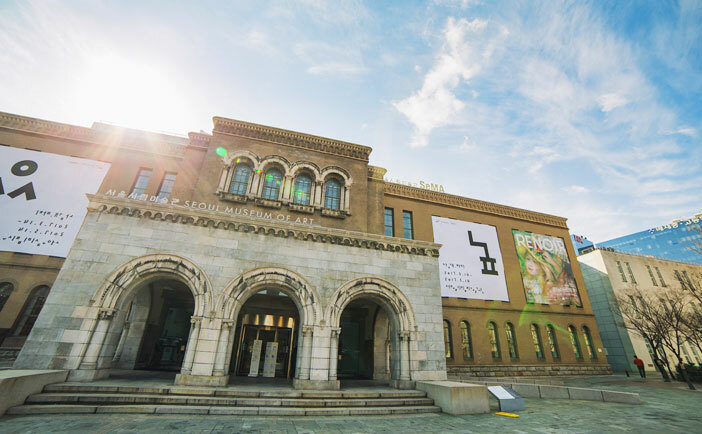 In addition to the Opera House, Seoul Arts Center is home to a concert hall, Hangaram Art Museum, Hangaram Design Museum, and Seoul Calligraphy Art Museum. Korea’s unique traditional architecture is merged with modern design to create the grand yet elegant appearance of Sejong Center. Sejong Center holds a variety of performances of diverse genres including traditional Korean, classics, and even crossovers. The main theater, Grand Theater, has a wide stage equipped with the largest pipe organ in Asia. Sejong Center is a popular attraction among tourists as it is located across from Gwanghwamun Square and Gyeongbokgung Palace. A stranger to the arts? Stop by National Museum of Modern and Contemporary Art! With the slogan “Art museum in everyday life,” the National Museum of Modern and Contemporary Art (MMCA) in Seoul is loved by locals for its display of artwork in addition to being an aesthetic resting spot. The biggest characteristic of this attraction is its consistent admission fee. In contrast to other art museums where prices differ depending on special exhibitions, MMCA offers a combination ticket with access to all exhibitions and video displays. 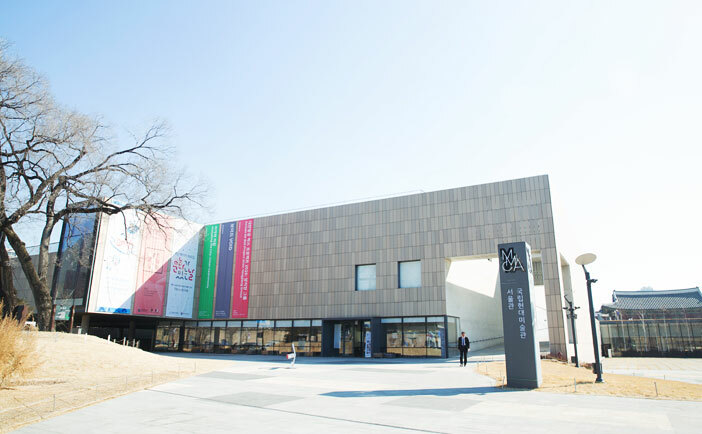 MMCA is recommended to be added into your itinerary since it is located at the entrance to Samcheongdong-gil Road, near Gyeongbokgung Palace and Changdeokgung Palace. 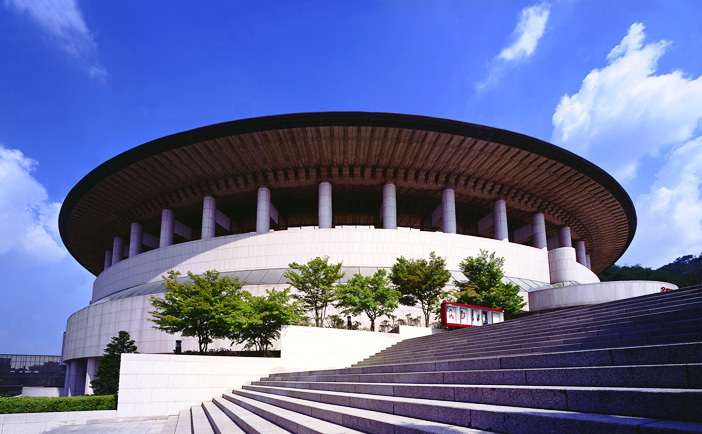 The main building of Seoul Museum of Art, which was once used for the Supreme Court, is highly recognized for its splendid modern image after undergoing renovation. Featured exhibitions are not limited to traditional arts, but include a wide range of media including architecture, films, music, fashion, handicraft, and even works that do not belong to any specific genre. The museum also features non-Western artwork, such as those from Africa and Latin America. Seoul Museum of Art also offers a special program, Museum Night, on the second and last Wednesday of each month. Starting from 19:00, the program showcases artworks in connection with music and films for an immersive experience. The museum also has an outdoor exhibition area, perfect for leisurely strolls. If you are visiting Deoksugung Palace, consider adding Seoul Museum of Art to your schedule as they are located right next to each other. Located inside Seoul Arts Center, Hangaram Art Museum features various plastic arts. It consists of six exhibition halls and an art shop. Most featured exhibitions are based on modern art, making it easier for beginners to approach the world of art. 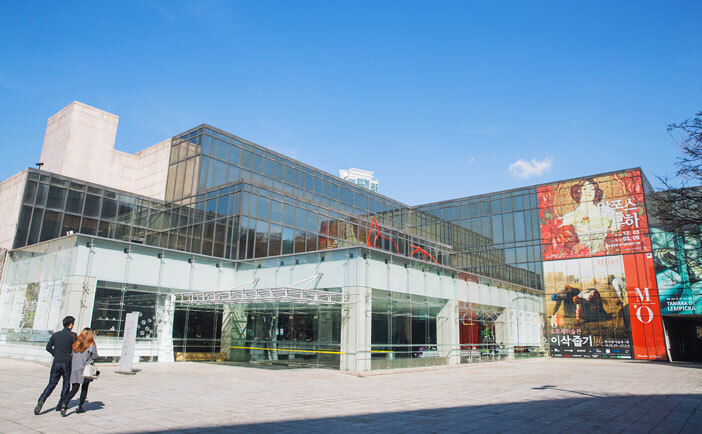 Often visited by people watching performances at Seoul Arts Center, Hangaram Art Museum is convenient to explore due to its open-style exhibition halls. 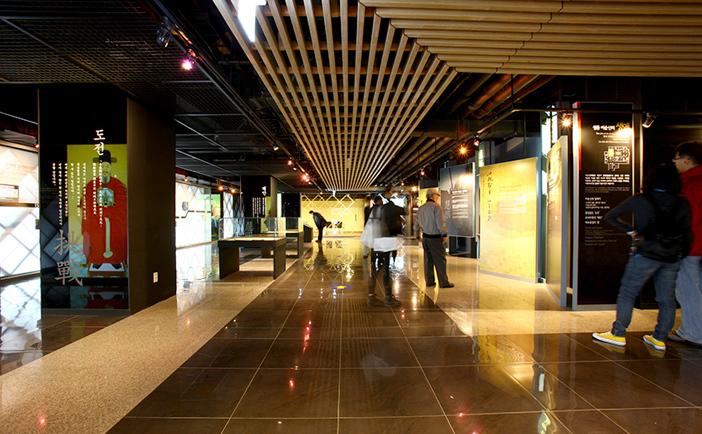 The basement level of Sejong Center is divided into the exhibition halls of King Sejong Story and The Story of Admiral Yi Sun-shin. Each exhibition features displays, videos, and hands-on zones for visitors to learn about these two important figures in Korean history. King Sejong Story in particular features a video about King Sejong’s life, and a display of traditional Korean instruments created during his reign. In the hall about Admiral Yi, visitors can experience a battle fought in by the Admiral through 3D and 4D videos.